Fluctuating home prices in Goldsboro, North Carolina: What causes this? Over time, the value of a property will go up and down. Normally, property values appreciate in the long term. But, of course, in real estate there are no "sure things". When your house appreciates you have a bigger asset to borrow against, and you'll realize a larger profit when you sell. There are various reasons why property values in Goldsboro go up and down. So, how do you know what you're buying today will appreciate over time? Choosing a REALTOR® in Goldsboro who understands the factors that influence local prices is the most important factor. A lot of people assume that the economy is the most influential factor affecting real estate appreciation. Naturally, mortgage rates, unemployment, business growth, government programs and a handful of other national factors can always influence your house's value. But the most influential issues that determine your property's value depend on the local Goldsboro economy and housing market. Access to services - Being close to schools, employment and amenities like shopping, restaurants and entertainment is a priority to a lot of buyers and will greatly influence home values. So those areas consistently appreciate, or keep their value consistently, year to year. Recent sales - Your agent should provide you with facts and figures on the recent real estate sales in the areas that you're asking about. You'll want to know average time on market, selling versus listing price and more. Appreciation history - Have home prices gone up or down over the past 5 to 10 years? Is the area thought to be desirable because of its location or affordability? Economic factors - Have businesses moved into or away from an area? Are local companies hiring? Is there a good combination of job types in an area, or does it count on just one industry? All these play a role. It's worthwhile to learn about the factors that influence your house's market price. 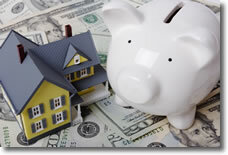 Visit this link for an assessment of your home's value. Have any questions? Please feel free to call me at 919-921-1860 or e-mail me.